Dionne Taylor is the Director of Polkadot PR, Sydney. In this interview, Dionne talks about how she secured her first client when she had only been running her business for a few weeks, how influencer marketing is efftecting the PR industry and how she finds a work/life balance that suits her. OC: Hey Dionne! An easy question to start us off (I hope) – What is your full job title? DT: Director of Polkadot PR. I studied a Bachelors in Media which included Journalism and some PR subjects. During university, I completed multiple work placements at a variety of different outlets including newspaper, TV stations, radio stations and magazines. I actually didn’t enjoy PR at all while I was at university and failed the subjects. I begged my tutor to give me a credit (a pass was not good enough, maybe I did have the persuasive skill after all) and completed my degree. Studying and working in PR are two very different things. I was obviously much better working! I had exposure working in another agency and saw how much fun it could be, and how creative it could be, but most of all how I could make a big difference in the client’s business by achieving solid PR coverage. I have always had an entrepreneurial spirit so when I was 23 I realised I was much better off working for myself than for anyone else, and voila – I started Polkadot PR. I looked at which beauty brands were advertising in the main media outlets and figured that if they could afford advertising then they could afford PR. So I called them up and secured a meeting. My first client was a beauty brand that hadn’t done PR before but had spent a lot of money on above the line. I had a meeting with them, but had nothing to show them as examples of work that I had done (my business was two weeks old at the time). I had a business card and a laptop, and I was in serious business… After the meeting they agreed to a 3 year contract despite me asking only for 3 months to prove myself. I left the meeting and had a $178 parking fine waiting for me on my car… This slightly dampened the moment but the excitement and validity that I had just signed my first client for 3 years was a huge achievement. We are based in Bondi Junction in Sydney. I have always only had offices in Sydney and have never had the need for more. We service clients all over Australia and I also have clients in other countries too, who hire us to increase their brand within the Australian market. I travel interstate usually overnight (same day trips are too exhausting) at least once a month and also usually do an international work related trip once a year. I just returned from 10 days in the USA where I spent a week on a cruise through the Caribbean for my client Zumba. I also had a few meetings with a new business that I am getting involved in, it’s an app which connects PRs with journalists much in the way Tinder connects people. The app is called UPitch App and the founder is located in Miami. I am now her business partner and will be growing the Australia, New Zealand and South African markets. I predict more US trips in the future due to this involvement! Previously I have travelled to client conferences in Singapore and Malaysia. I have two kids aged 3 and 7 so between my husband and I, we run a very tight ship in the morning. I have a quick shower then prepare breakfast for my girls, tag teaming with my husband while we both get dressed, feed the dog, tidy up the house and then out the door. Then we each drop one of our kids off at school or daycare then I head into the office. School and work are not far from where we live so the whole process is usually an hour. In amongst all of this, I’ve checked my emails that have come through overnight (with international clients there are often a few waiting for immediate action), check the headlines for the day, and then I’m on my way. Running a business is a constant dichotomy of challenge and reward all rolled into one. I invest in my staff’s development ensuring that they have their own clear path to success so knowing each staff’s nuances and areas of development is an exciting challenge – I want the best for them because they’ll be the best for me. 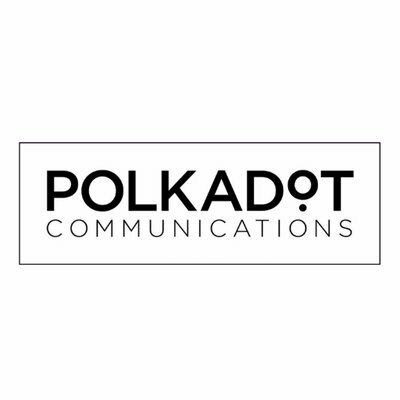 Likewise, I love the challenge in each individual client’s businesses; looking after a wide variety of consumer clients at Polkadot PR, I am always interested in knowing the areas of growth and opportunity with each client and seeing how we can craft good media coverage to help the clients meet their objectives. I have always struggled with this. I work four days a week and on the fifth day I look after my 3 year old, Camilla. I am always home by 5pm to be with my kids, and hang out with my 7 year old, Nina, by helping her with homework and hearing about her day. I think it’s crucial to be with your kids between 5-8pm and if I am unable to finish any work during the day, I’ll usually finish it off while they go to sleep (unless it can wait until the morning). My work is very social so often the lines between work and life are blurred, but it feels completely natural to me. I exercise four times a week over my lunch break which helps break the day up. I wish more people knew the value that working with a good PR practitioner can have on a business; investment and patience are key to a successful PR campaign (and a good story). PR success does not happen overnight so businesses need to be patient to see the results and then test the effect of those results. I would need someone who can talk; they can’t be shy – they have to be street smart and not full of air kisses and champagne. They need to be able to write well and see the opportunity in every story. They also need to know the media; not individual journalists, but they need to know what media is available for them to pitch to. Relationships can be made anywhere and the story is only as strong as the angle itself, so being able to identify the story is a crucial quality. Not everyone has this. Competition. It’s a go-to marketing technique which means lots of aspiring PR people are popping up all the time. Likewise, another challenge is the ongoing debate of paid media vs earned media and with influencer marketing moving towards paid media, it’s blurring the lines between achieving free media press for your clients. I have been working with my General Manager for 3.5 years (Emma Kirkaldy) and I have loved every day working with her. She owned a PR agency for 10 years in the UK and joined my agency at a time where we were on the growth path. I have learned so much from her and value her every day. Have your systems set up; your media database, media monitoring etc. Know the area you want to specialise in and don’t fall for conflicting brands. And remember that your staff aren’t working for you, you’re working for them, so never stop working and being mindful of their own career paths. 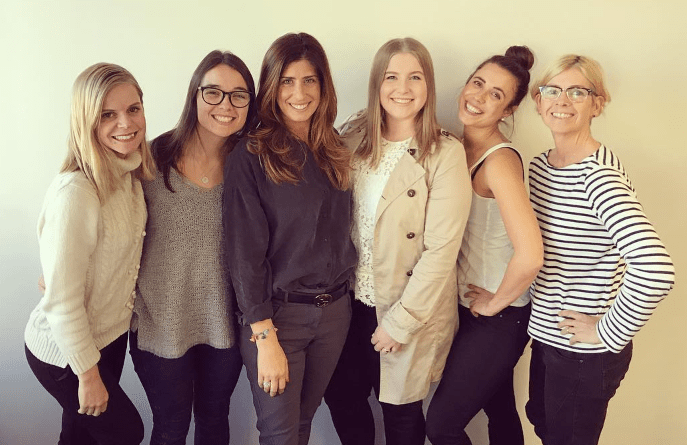 If you want to own your own PR agency, get some experience working on agency and in-house – it’ll be so valuable to you in the long run.